In this episode I want to tell you about the 3 things I’ve found to enhance my floats. Try them out for yourself and let me know what you think. Enjoy! Comfort is essential to enjoying time spent in an isolation tank. You can’t feel comfortable if you don’t feel safe. One important safety element in floating is ventilation. If you build your own isolation tank, one thing you need to do is build a tank that has proper ventilation. You also need to make sure the floatation tank room ventilation is at safe levels so you don’t risk overheating, dehydration or other possible dangers to your body. Some people worry about the water cooling too rapidly with vents on the isolation tank. When you build your own tank, you can insulate the tank or use heaters under or around the tank to keep the water at a fairly constant temperature. But it is important to remember ventilation is always required. The whole room needs to ventilation to exchange warm wet air with dry cool air. It lets the floater have a constant supply of fresh air. Exposure to stale air can be dangerous over a prolonged period of time. Human lungs expel carbon dioxide during breathing. Carbon dioxide can be suffocating in concentrated doses. Allowing outside air to circulate inside the tank allows fresh oxygen to enter. Oxygen is important to the health of your brain. And since brain activity powers the entire floating experience, having plenty of fresh air to breathe enhances floating so it can be enjoyed at the level it should be enjoyed. Breathe deep and enjoy the atmosphere during your next floating session. The fresh air is good for your body and your mind. This is the first episode of “Tales From The Tank.” I basically want to start covering all my personal experiences with floating as well as tips, tricks, things to remember, etc. I hope you guys like them! Let me know your thoughts. Floating is meant to be an unforgettable experience. It is your chance to free your body from the outside world and bond with your subconscious mind. Urine can turn floating into an experience you would like to forget. Float tank peeing might not seem like a big deal to some people. Such an attitude ignores the right of everyone to float in an isolation tank that is safe and sanitary at all times. 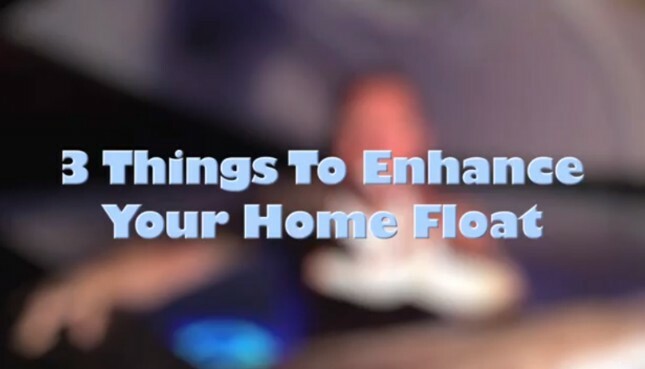 It is difficult to enjoy floating if you are worried the water might be contaminated. Floating in saltwater mixed with your own urine is gross. When another person floats in that urine, it is not simply disgusting. It is also dangerous. This can promote the spread of disease and undo the positive things floating is designed to do. How can floaters avoid needing to answer the call of nature while inside the isolation tank? Planning ahead is a good start. Do not drink a ton of fluids before your floating session, so your kidneys can hold in the urine for the duration of the session. If you feel you cannot hold it in, simply leave the tank to go pee in the nearest bathroom. 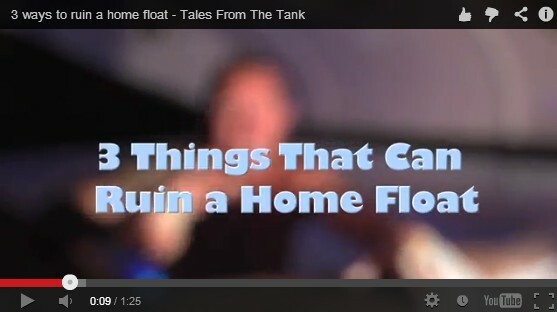 Float tank owners can also take steps to ensure urine tainted water is not an issue. Allow enough time between floating sessions to flush out the old water and disinfect the tank. Then fill the tank with new water and new Epsom salt. Doing these things will guarantee everyone has the experience they want when they step inside the isolation tank. Floating opens many doors to the subconscious world. Once inside an isolation tank, many people see images and experience feelings of an inner self that they never knew existed. They can learn how to harness their senses and channel positive energy where it is needed. Is the impact of floating limited to the subconscious mind? Not at all. The human brain possesses the ability to exercise conscious control over every cell in the body. There is no such thing as an involuntary action. Through the process of biofeedback, we can control blood pressure, heart rate, respiratory rate, the release of key hormones and the nervous system. Biofeedback allows a person to heal themselves by focusing at the cellular level. They can make a single subtle change in cells that can have a ripple effect throughout the entire body. Better health and greater happiness is within reach as a direct result of this conscious control. This sort of control can be enhanced through regular sessions in an isolation tank. It enhances a person’s ability to concentrate on the smallest details. Floating shuts off the external environment and enhances every physical sensation inside the tank. With the elimination of any outside distraction, it becomes a simple matter to enter a state of deep relaxation and focus on any single part of the body. Inside the tank or outside of it, floating offers an experience that lasts beyond the session itself. It can change everything about your body – including your control over it. Floating is an experience that requires a prepared mind. A first-time floater is bound to encounter thoughts, feelings and images that feel foreign in the beginning. These things may be part of the subconscious mind, but that does not mean they are familiar. It also means they could feel threatening or scary at first glance. One important rule to remember about floating in an isolation tank is that you are in control. Nothing that arises from your senses inside the tank has the power to harm you or control you. People new to floating benefit even more from their session when they prepare for the experience. That means going in with an open mind and eliminating negative energy. Floating can only be therapeutic when you let your body and mind soak in the experience. Fear has no place in floating. If you have phobias involving darkness or enclosed spaces, arrangements can be made to let in more light or leave open the door. There is no reason to be sacred away from floating by deep-seeded fears. Inside the tank, it can be scary for a moment when you feel weightless. It is not a strange sensation. Your body is still there. It has simply relaxed. Your mind must relax at the same time to get the full benefit of what goes on inside the tank. Trust the power of floating. Replace fear with positive energy. Negative emotions can build up through daily living. The isolation tank is designed to clear them out like weeds from a garden. Floating is perfectly safe for your mind and body. Once you let go of your fears and enter a complete state of relaxation, you will never have reason to feel anything but safe.